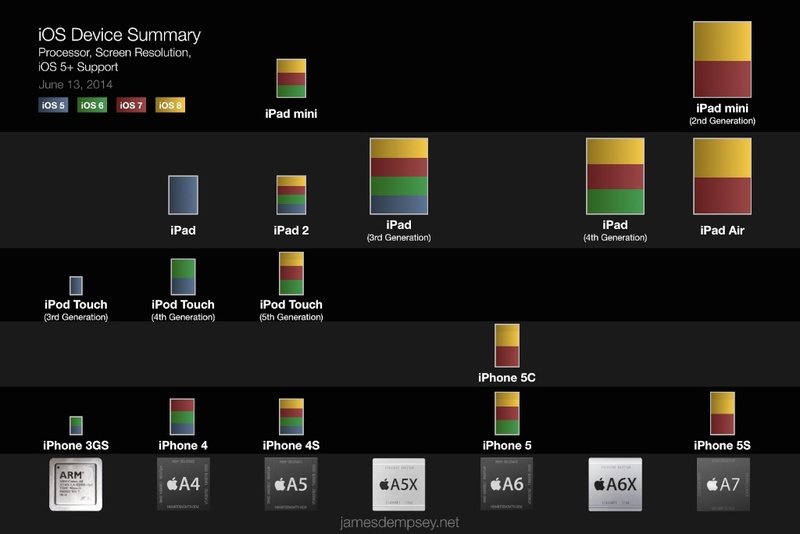 I’ve updated my iOS Device Summary for iOS 8 with the info Apple has publicly posted. Update 6/26/14: Updated to reflect new price of 16 GB iPod touch. This entry was posted in iOS, Software Development and tagged Apple, Cocoa, Cocoa Touch, IOS, iOS 8, iOS Device Summary, IPad, IPhone, IPod Touch, Software Development, Software testing. Bookmark the permalink.